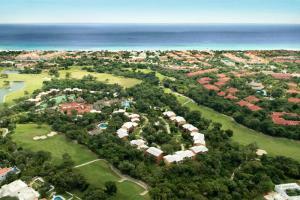 Surrounded by beautiful tropical gardens in Playa del Carmen, Riu Lupita offers round-the-clock all-Inclusive service. 300 rooms overlook the gardens or the pool, and feature air conditioning, mini-bars drink dispensers, satellite TV and balconies or terraces. Cool off in the hotel's pools, work out at the fitness center, and participate in a multitude of sports and activities including tennis, windsurfing, kayaking and scuba diving. Riu Lupita has an extensive daytime and night-time entertainment program for children and adults. 34 miles to Cancun International Airport, in the Yucatan Peninsula, 1.8 miles from Playa del Carmen Located in Playa Del Carmen, just moments away from the beach. Adelita, Main restaurant; Maria Bonita, Mexican restaurant; Cozumel, Beach restaurant; Dante, Italian restaurant.